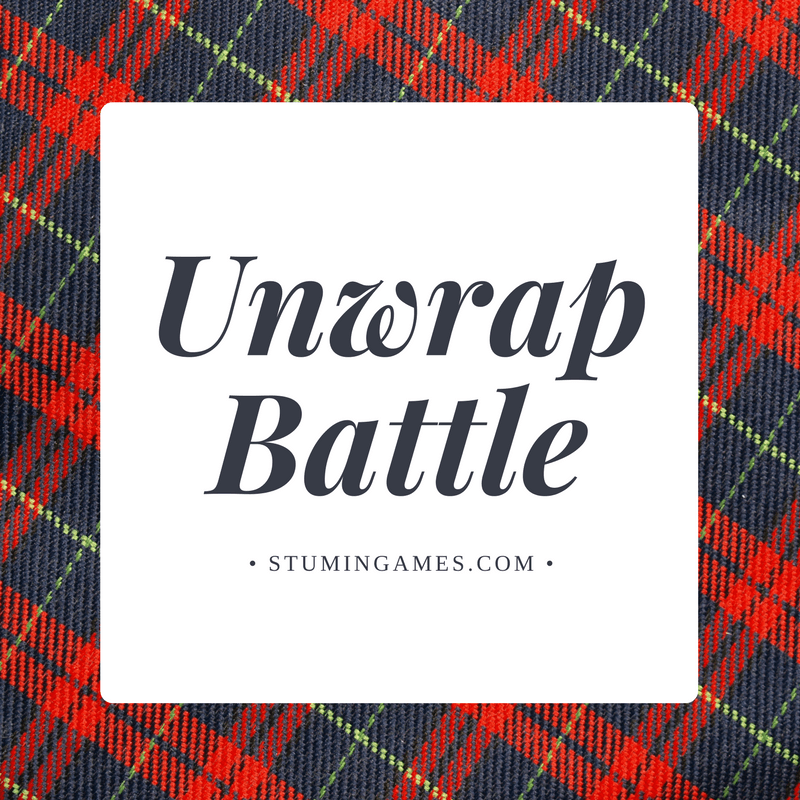 A couple years ago we introduced you to Wrap Battle, so today it makes sense to present Unwrap Battle. That’s right, win fun prizes by testing your unwrapping skills. When we recently played we had a blast, plus we learned some important lessons we’ll share with you from our go at it last year. Unwrap Battle is a great and fun way to show appreciation to your team for all their hard work during the year. Of course, it can be played by any group. In preparation for Unwrap Battle you will need to purchase candy, several prizes (gift cards) or have some money available. take individual prizes and candy and intersperse them within the plastic wrap. For example, take your largest prize and begin to wrap it in the saran wrap. Once you’ve covered it sufficiently, add another card with some candy. Repeat this process until all the plastic is used and all the prizes and candy are used. Once everything is prepared, get two dice and a small plate that can be passed around. To start the game, get everyone into a circle and select someone who will be first to unwrap the ball of plastic wrap. Before they start, give the plate with two dice to the person on their left. The goal is for the person who is rolling to try and roll doubles as fast as they can. Once they do, the person who is unwrapping must stop immediately and pass the ball of plastic wrap to them and the dice move to the next person on the left who starts rolling. Anything that is unwrapped and falls (or is taken) out belongs to the person who unwrapped it. Two important rules to the game. First, if you are playing with families or spouses, they can not sit next to each other. Let’s just say we had a few people gaming the system. Second, they must keep the ball in their lap as they unwrap. No throwing it to unroll it faster or raising it up in the air. A good rule of thumb is that one hand must be on the ball at all times, allowing them one free hand to unwrap it as they hold onto it. We had an absolute blast with this game and we bet you will too! 1. Play some Christmas music in the background for better atmosphere. 2. The amount of prizes will depend on the size of your group, but make sure you have plenty in there so everyone at least has a chance to win something. 3. Take some pictures or video of the action and use the post to thank people in your group. 4. If you use money, we recommend folding it up a few times. Paper is fairly easy to tear through in the chaos of the game.